Haha, maybe, but my luck with these things is TERRIBLE. 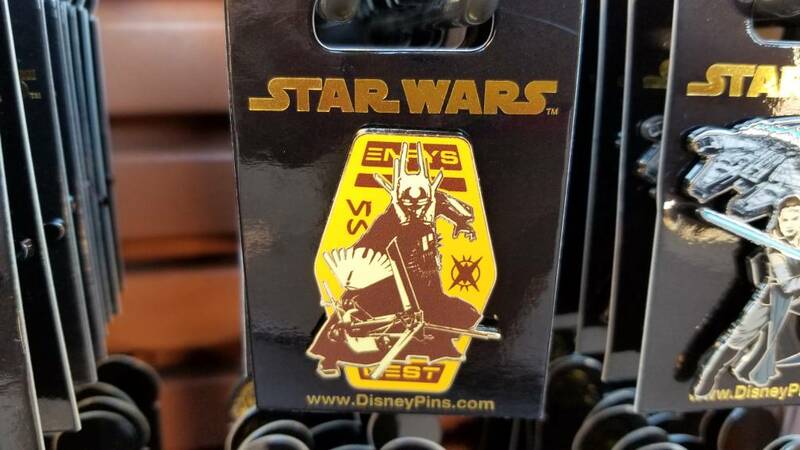 I’m just happy this flip has me “those are nice pins, but I don’t collect them, so, phew!” No angst. I had enough salt at work today. They seem to go in waves with characters, featuring them on comparatively more pins than other characters - Jessica Rabbit, Tinker Bell, Vanellope, Olaf... They're currently in a Marie and Mickey Mouse wave. DitzyDreamer, arielsdinglehopper and MerlinEmrys like this. I had a thought. 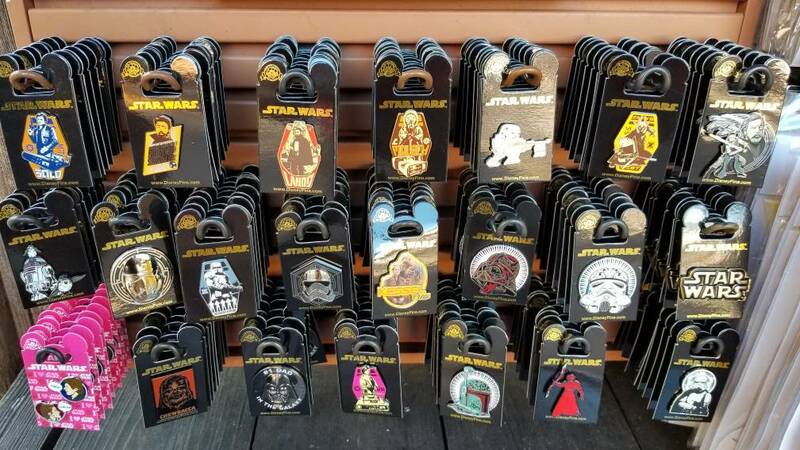 What if DSF and WDI released highly sought after pins at the same time. It would blow people’s minds and probably cause accidents on the freeways. No! I live between the two and that would be HORRIFIC traffic for me! Ugh you have the POP! I want! I'm always checking at Target, I love it's little outstretched wings! Someone posted this on Reddit. I really wouldn't worry about it. It could be four different people's sets, taken as one picture. People did that with the Rapunzel PTD (blonde hair) release at DSF. 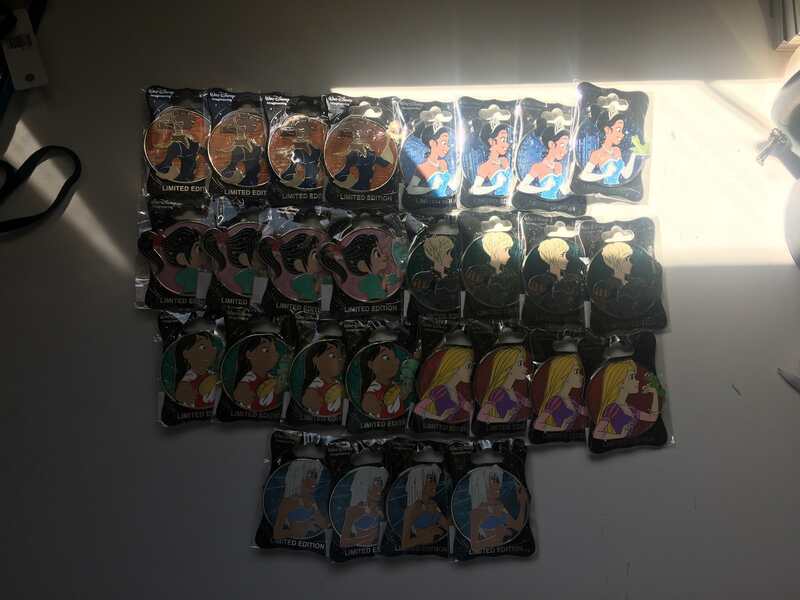 I think they lined up 10+ rapunzels and made people think it was all one person's pins. DitzyDreamer and a4matte like this. but only for a week right? it's the 2nd marie PTD and it seems that the not-first-PTDs are not as popular? I need to look up how to post photos here! I have 6 porg pins so far (no fantasies yet but I have my eye on one) and we have the plush that moves and speaks. Get the Tapatalk app. It lets you post pictures easily. We may have to start a porg appreciation thread somewhere. They said they went with friends that are cast members that don't care about or want the pins. I'm just thinking it's overkill - but I know some people will lose their minds of that photo. That baby Dumbo was really cute! It was, but it wasn't as popular or equal in "value" as the first one. That's why I thought Marie would be similar since it's the 2nd PTD of her. Regardless, I stand corrected and pin traders are all very fickle creatures. LittleBird and TheMickeyMouseRules like this. omg, i'm so glad i didn't go. i couldn't afford that much time today. at least you got some pins! Yeah having multiple PTDs for the same character definitely seems to make the newer ones take a hit in value. Unfortunately for me the stitch PTDs don’t seem to follow that trend and all of them besides the newest one are still uber expensive. ice cream for breakfast is the adult thing to do. lol. they dont give vouchers for later. 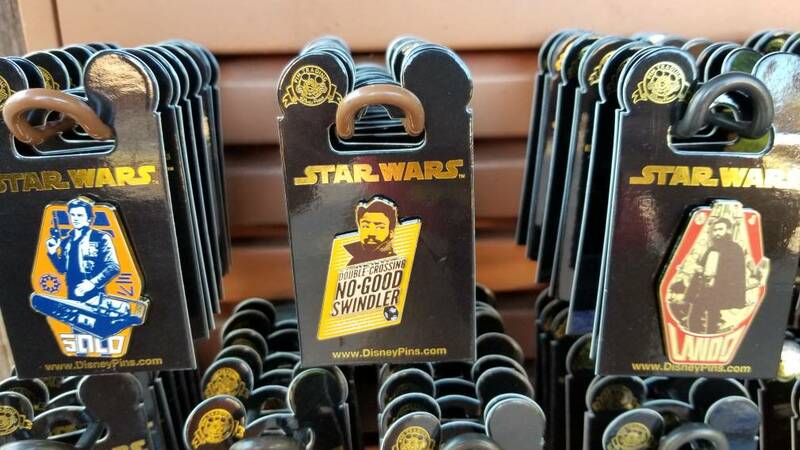 Some new Solo Movie pins! 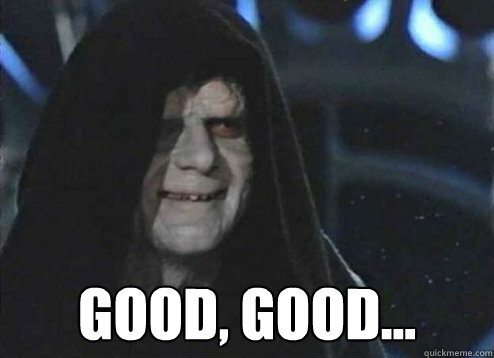 I'm seeing pics pop up now of people lining up for the Windows of Evil release... Since when do we line up for an LE 2000????? Probably because Hades sold out before noon.